End Date : Until November 30, 2018. 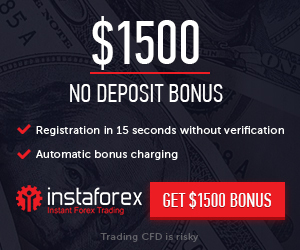 Bonus : $10 No-Deposit Bonus + 50% bonus when making your first deposit . Withdraw : Yes, after trading $20 USD for each $1 USD bonus and making a deposit of no less than $50 USD bonus.